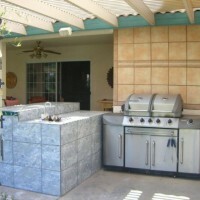 I built this bar and bbq myself in the summer of 2006. 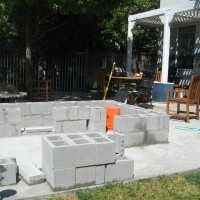 The foundation is concrete block, with El Dorado stone for the facing. 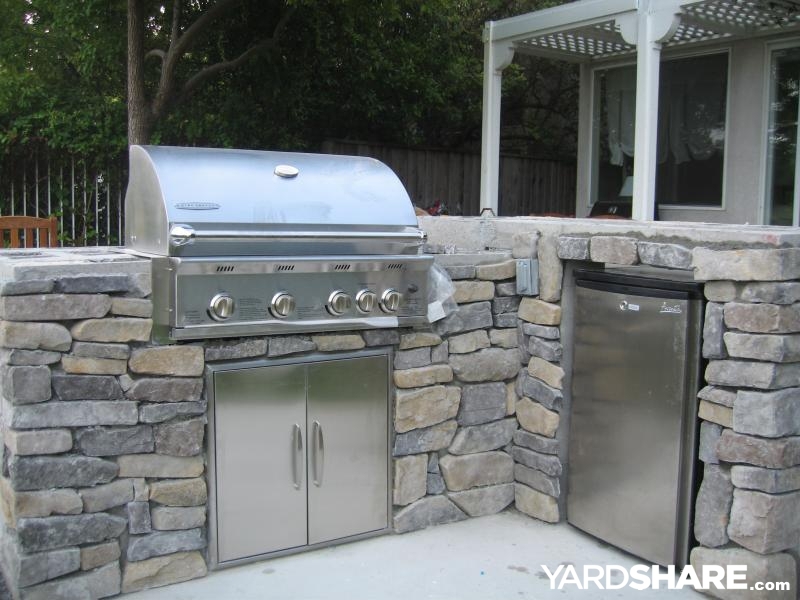 4-burner stainless steel grill and a mini refrigerator. 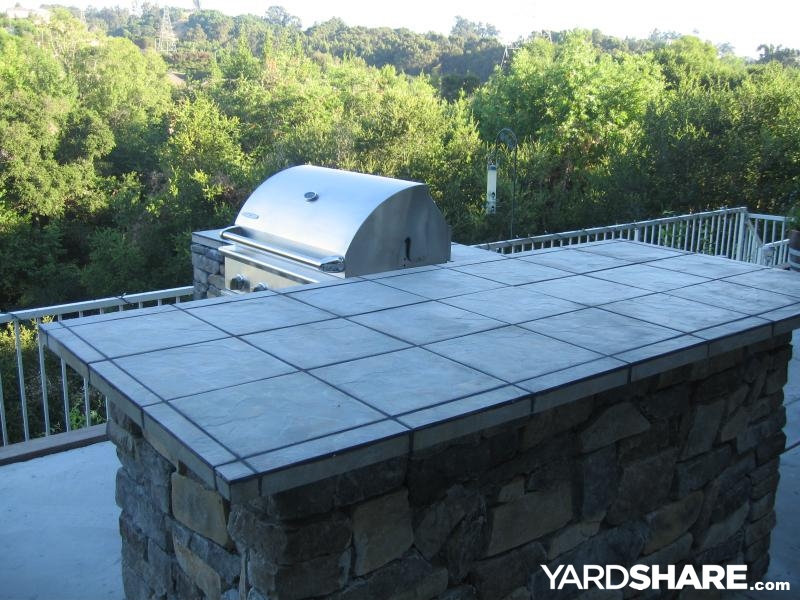 Countertops are ceramic tile on cement backerboard. 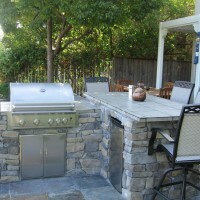 The bar area is 4 inches higher than the grill area in order to have a distinct bar/serving area. 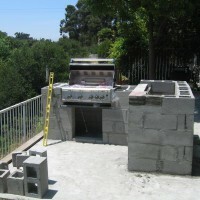 The bbq/bar area took 3 months to plan and 1 month to build. It's been a great addition to our backyard. 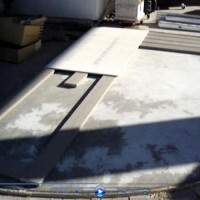 2 of 14: After the first two courses of concrete block were laid. These were the most important courses as they needed to be straight and level. 3 of 14: The last course is laid and the bbq fits, so now it's time to fit the door and then add the facing: El Dorado Stone. 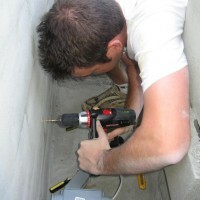 4 of 14: Drilling the hole for the electrical outlet for the frig. 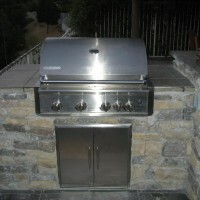 5 of 14: This was the last check that the grill fit in it's slot before I pulled it back out to finish the counter top. 6 of 14: Shot of the ceramic tile counter top and the future view of the guests sitting at the bar. 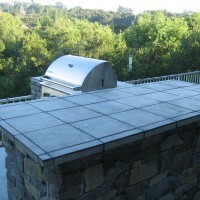 7 of 14: After the bbq was complete, the 16x16 slate tile was laid. 8 of 14: Finished product. 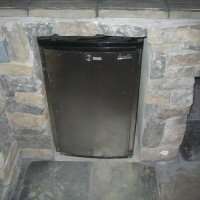 9 of 14: Stainless Steel door for access to the propane tank, tools, etc. 10 of 14: The mini frig under the bar. Electricity was run in under the cement from the house prior to pouring. 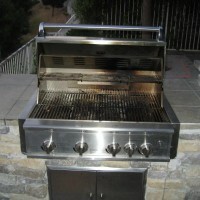 11 of 14: 4 burner w/ rotisserie stainless steel grill. 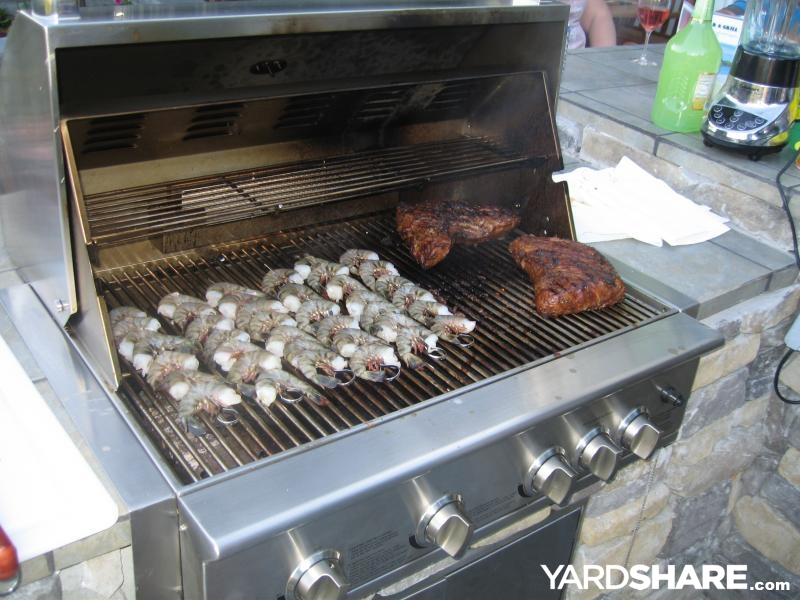 12 of 14: Surf & Turf! 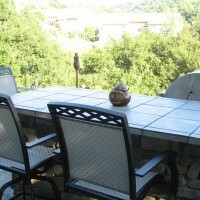 13 of 14: Nice view for the non-paying guests. 14 of 14: This guy looks like he knows what he's doing! Bryan did you just set the cinder blocks on mortar or did you secure it to the floor with a rebar? Hi Ron. 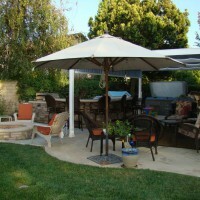 Are you you asking about homeowner's yards that were created by a landscape pro? We just have to take the homeowners word for it on whether it was DIY or done by a company. 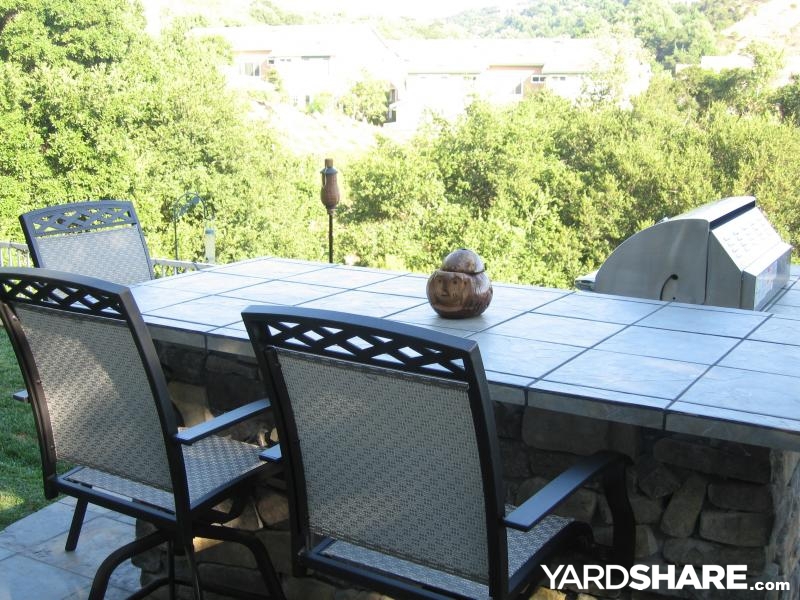 I can certainly look into ways to categorize yards that way though. WOWOWOW!This took a LOT of hard work and a real eye for design!Good Job! hey bryan, thanks for taking a look at my place. this is awesome! looks perfect and i can tell you put much thought into this. you had a great vision. talk about putting the pros to shame!!! 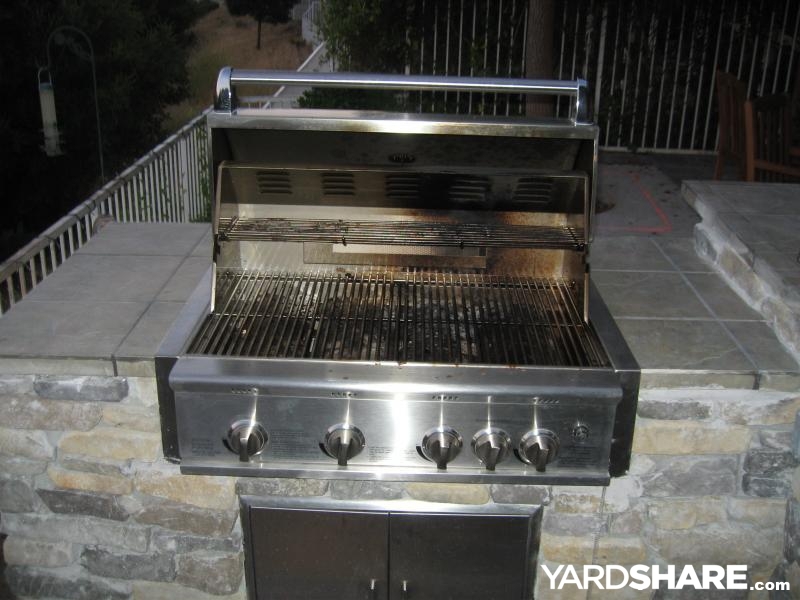 For a girl who loves to grill but has a very small budget... Was this a pricy project or could it be done on the cheap? 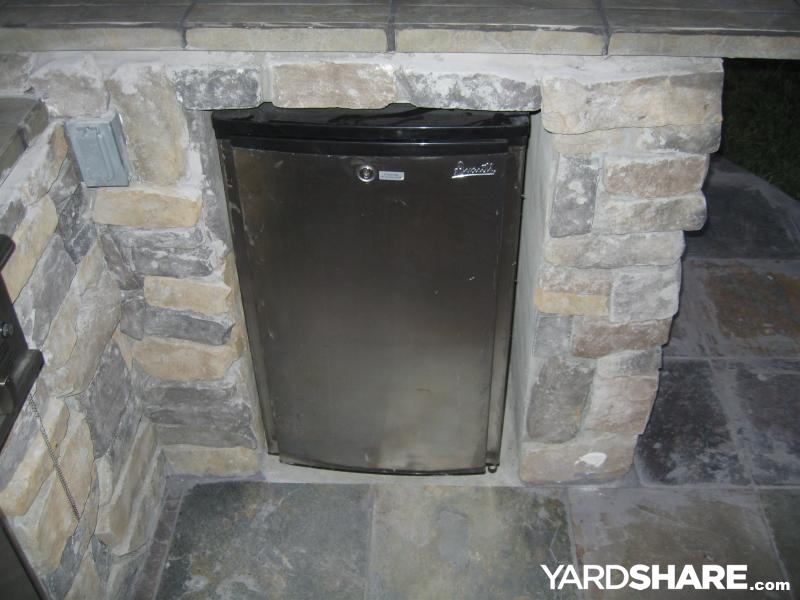 Already have a grill and a mini-fridge to put in there. Hi Emily. If you were to have this done by a professional, it would run between $10-$12k. I did it myself and it cost around $3500 when it was all said and done. That said, it was a lot of work and took up one month of my life. But well worth it! Where did you purchase your stools? We got the stools at BBQ's Galore in Dublin, CA. Hey Smash. Well, while there is a lot of space within the block, the problem was getting access to it. Given the dimensions I had to work with, I didn't have enough room to add any access points in the area I put the fridge and the propane access doors. I didn't really want anything other than the stone on the other sides. 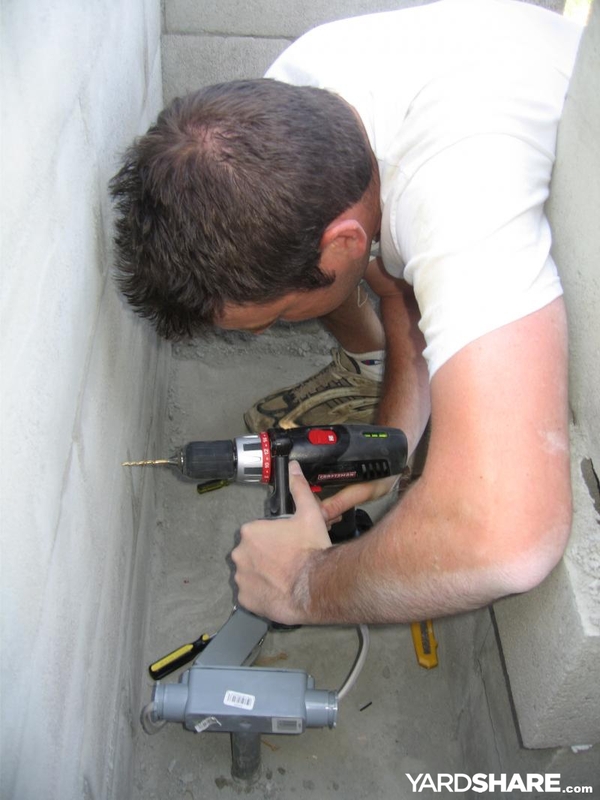 But if you can add more access points given your dimensions.....concrete block gives you planty of space options. 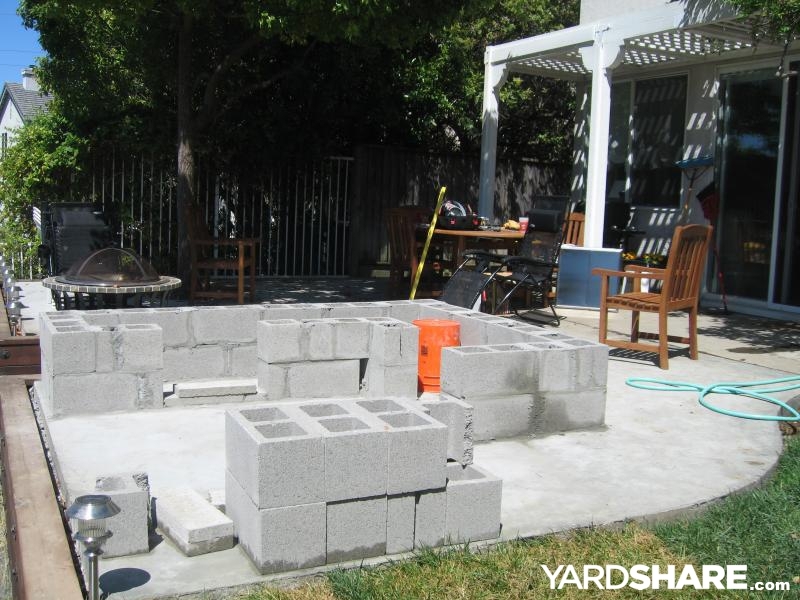 Hope to see your project on YardShare when you get started! Thanks - that makes sense. 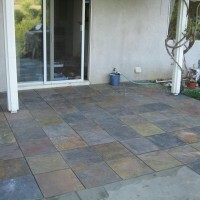 I did just add my gecko patio project; take a look at it. 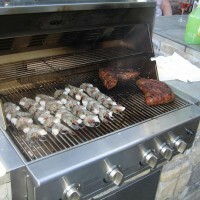 Nice BBQ; I need to do one as well. I have a question - there is a lot of volume within the block, but you only built in small storage spaces, which seems a waste to me. 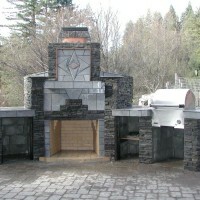 Is there a reason you did not maximize storage volume?nI will have my smoker there, and want all the space I can get. I love your bbq. Well done. 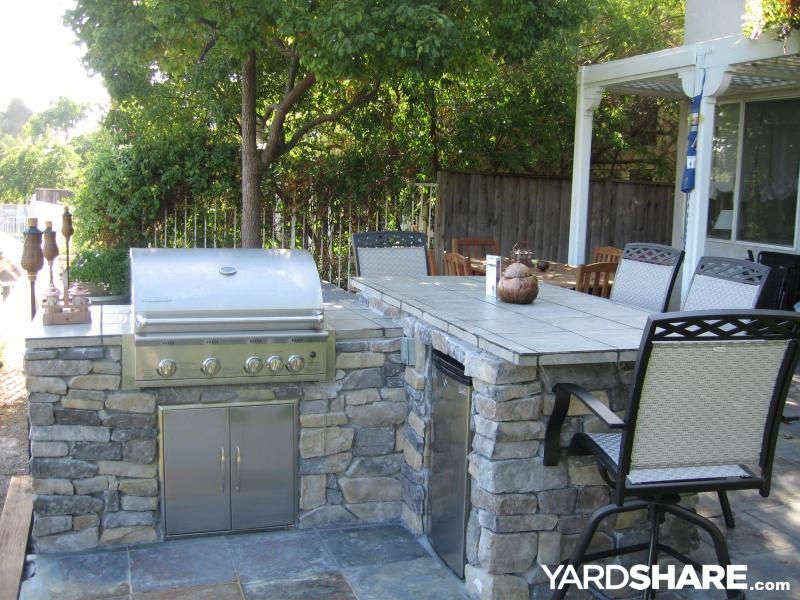 Very nice island and yard. 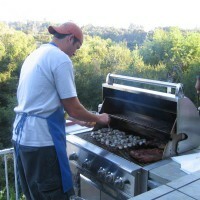 Im impressed and appreciate your feedback over at BBQ Galore. 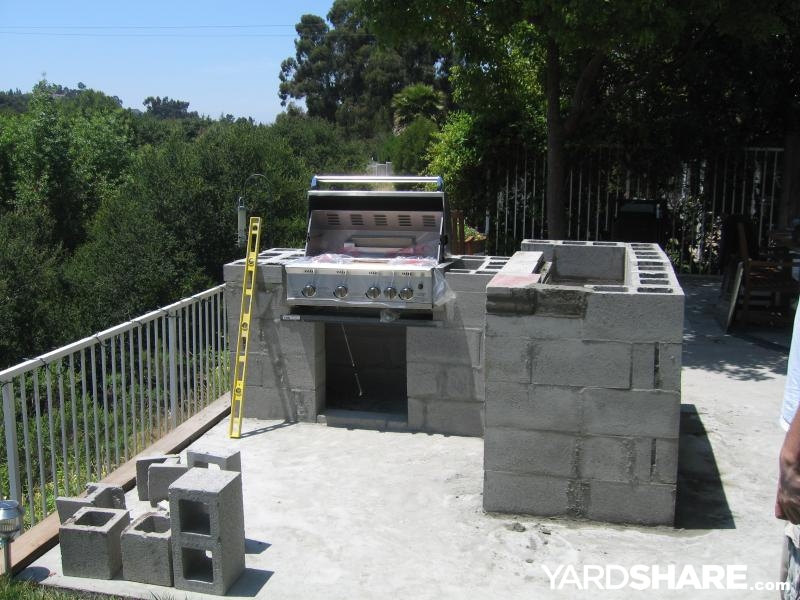 I used a half-height concrete block for the top course of block on the bbq area, which allowed it to be 4 inches shorter than the bar. You should be able to find a 4inch hieght block at your local masonry store or a home depot or lowe's. Bryan, I have the exact same plan except the bar extends to fit about 4 people. Questions about the block. 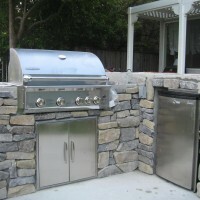 The bar height is only a little higher than the bbq, how did you get it that few inches higher (I figure another row of 8" block would be too much)? Hi Shannon. If you can believe it, I actually drew up the plans myself. I built it to fit in a very specific spot on the patio to maximize space and the view that you get when sitting at the bar. 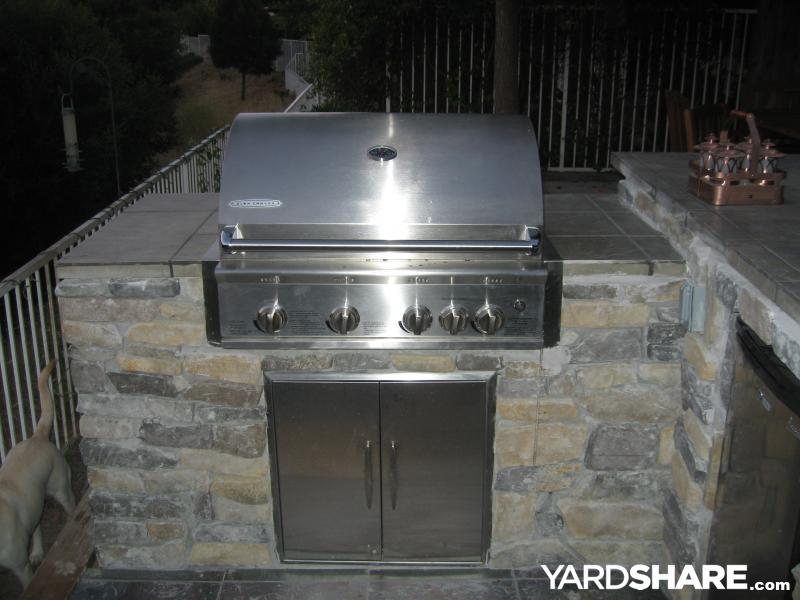 When drawing up your own plans, the most important things to consider are...1. the dimensions of your grill, refrigerator, and propane tank. 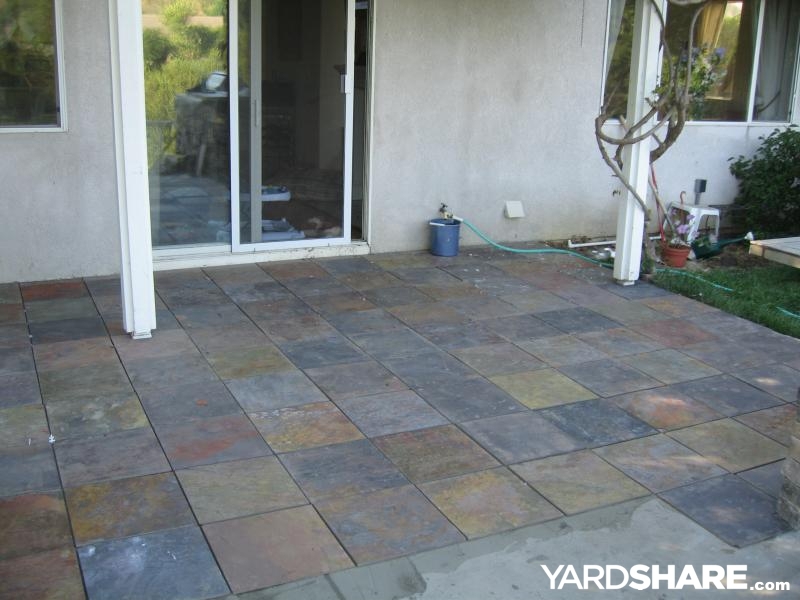 This will give you your minimum dimensions of width, length, and height. If I can be of any help, let me know. What? No Kegger??? Must be married! 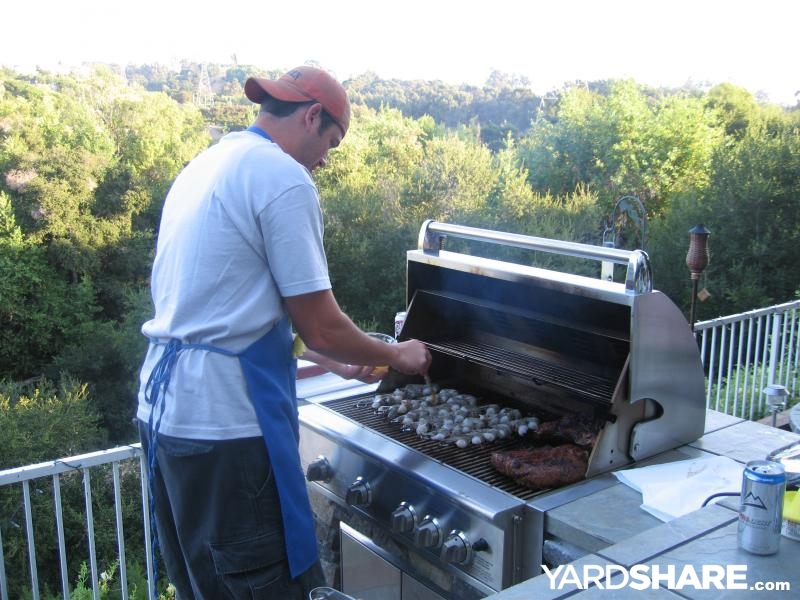 Do you have a gas line running out to the bbq or do you have a propane tank in the cabinet under the grill?